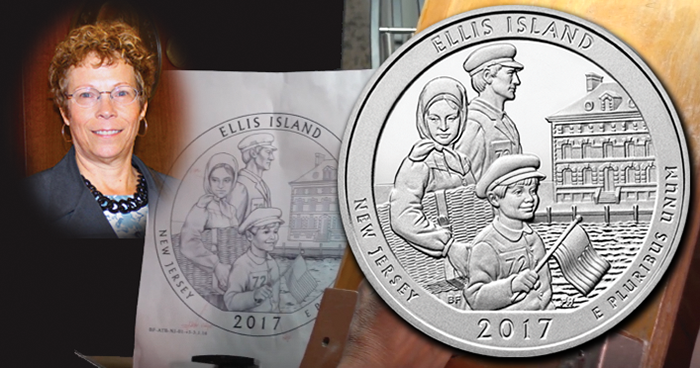 Yesterday, the highly anticipated 2017 Ellis Island National Park quarter made its debut at the America the Beautiful quarter launch and coin exchange on Ellis Island, New Jersey. The quarter’s reverse design owes its beauty to fine artist Barbara Fox, who has designed the reverse images of five of the America the Beautiful Program quarters since 2011. Some of her previous designs include the Glacier National Park reverse of 2011, the Acadia National Park reverse of 2012, and the Saratoga National Historical Park reverse of 2015. 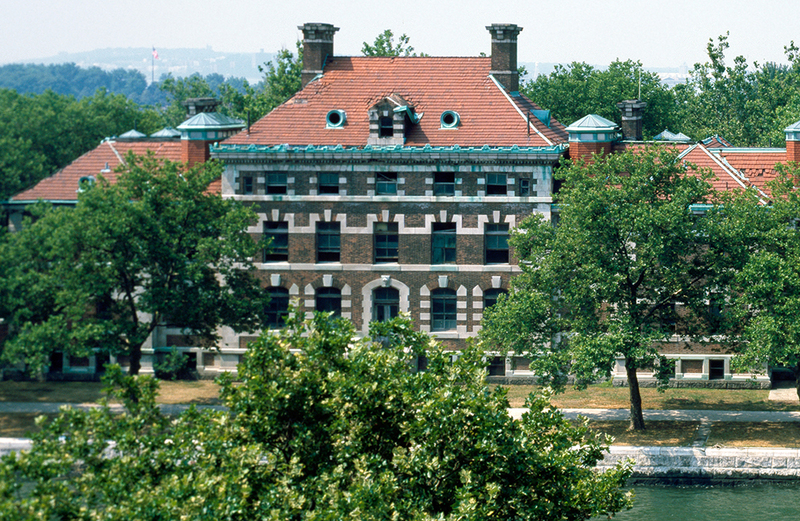 While Fox was responsible for creating the designs of several of the most recent America the Beautiful quarters, the work of sculpting her design for the Ellis Island quarter was the domain of U.S. Mint sculptor-engraver Phebe Hemphill. Thanks to the combined expertise of these two artists, we are now able to enjoy the Ellis Island America the Beautiful quarters of 2017. Barbara Fox earned her BFA in fine and studio arts from the University of California, Davis, and currently works as an illustrator with her own studio. Her previous clients include the likes of Disney, the Franklin Mint, and Timex. Fox also imparts her techniques to the next generation by working as a teacher in watercolor painting all over the country. A designer in the Mint’s Artists Infusion Program (AIP), she has worked on multiple high-profile numismatic projects such as the Code Talkers Recognition Congressional Medals Program, the 5-Star Generals Commemorative Coin Program, and the First Spouse Gold Coin and Medal Program. Fox currently lives in upstate New York and continues to be an active contributor to the designs of many numismatic and artistic projects. Chances were they would never go back to their country. They were making a whole new life in a place they had never been before… They didn’t speak the language and didn’t know the customs. Chances are they knew nothing about the U.S. except what they had been told. They used to call Ellis Island the “Island of Hope” and “Island of Tears” because people were very hopeful about coming to the United States. 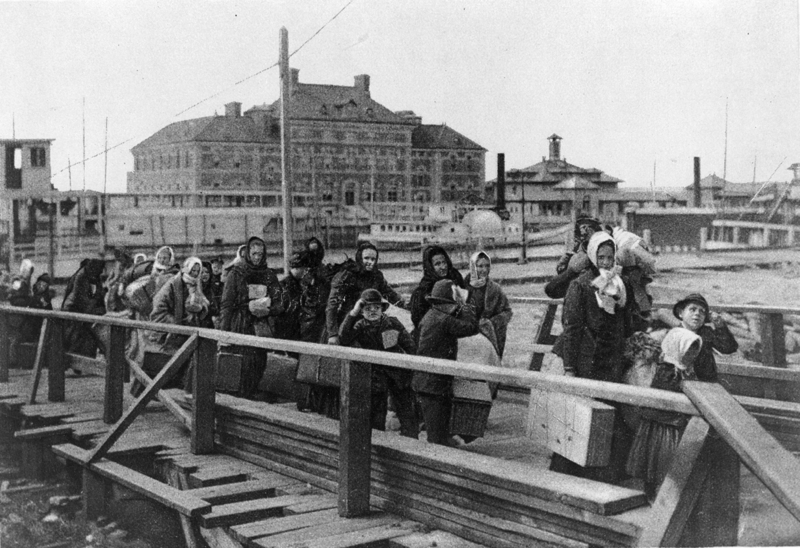 A 1902 photo of immigrants coming up the boardwalk from the barge, which has taken them off the steamship company’s docks and transported them to Ellis Island. The big building in the background is the new hospital, just opened. The ferry-boat seen in the middle of the picture ran from New York to Ellis Island. Mint sculptor-engraver Phebe Hemphill perfected her craft of engraving at the Pennsylvania Academy of Fine Arts, where she studied with EvAngelos Frudakis. In 2006, she joined the U.S. Mint’s sculptor-engravers team, whereas before she had demonstrated a wide range of ability in various freelancing art projects ranging from medallions to toys. An interview with Hemphill about her work on the 2017 Ellis Island Quarters is available here. or by phone 699-4145. To learn more about the many numismatic projects credited to Phebe Hemphill, you can visit the website of the U.S. Mint.